At around 10:30 am, most younger grades have snack time in class. 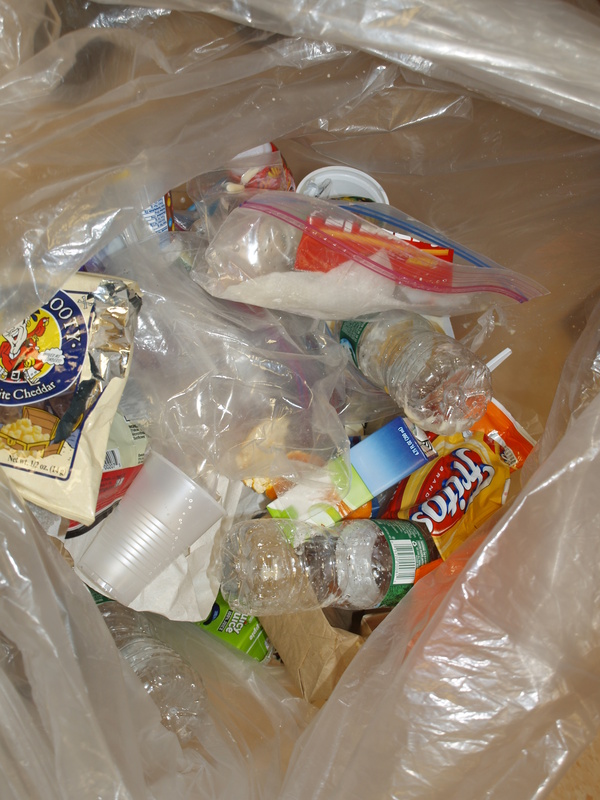 Out come the plastic baggies that hold the prepackaged chips, or cookies as well as the juice box. A survey showed that one classroom with 18 students generated 15 juice boxes or juice pouches per snack, as well as between 20 – 30 different single use packaging items. A total weight of 4 lbs per class. 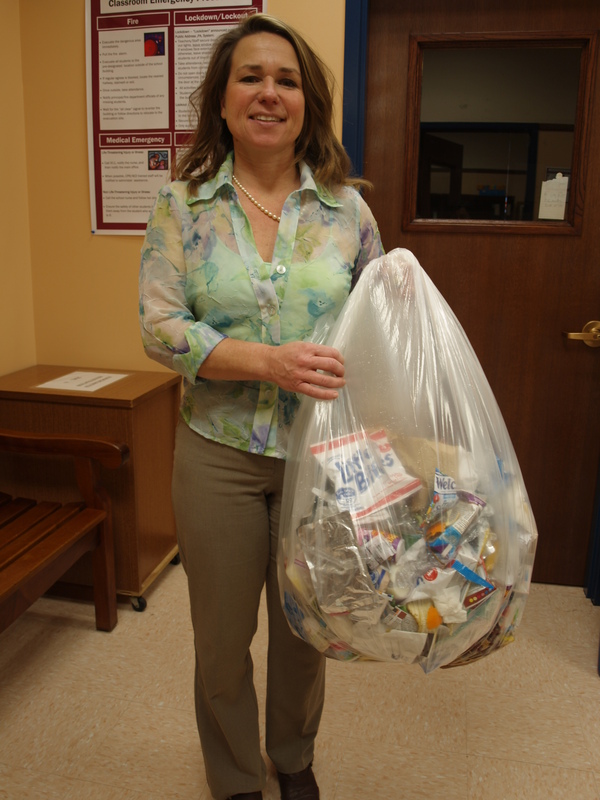 4 lbs may not sound like much, but this pictures shows the amount of garbage coming out of 3 kindergarten classes. Every day. So, Anna Giordano set out to create the Waste Free Snack program and together with Lovetta James rolled it out in January of 2014. The program consists of one week of targeted education to the children. As parents are the ones packing the snack, they also have to be a part of the solution and a letter was sent home to parents asking for their help to get this trashy problem under control. The principal Melissa Passarelli walked to all the classes and talked to the students about eating more healthy and she asked them what they thought was healthier….chips or a banana. The result was astounding, the very next day, we had 60% of the class bringing in bananas for snack. 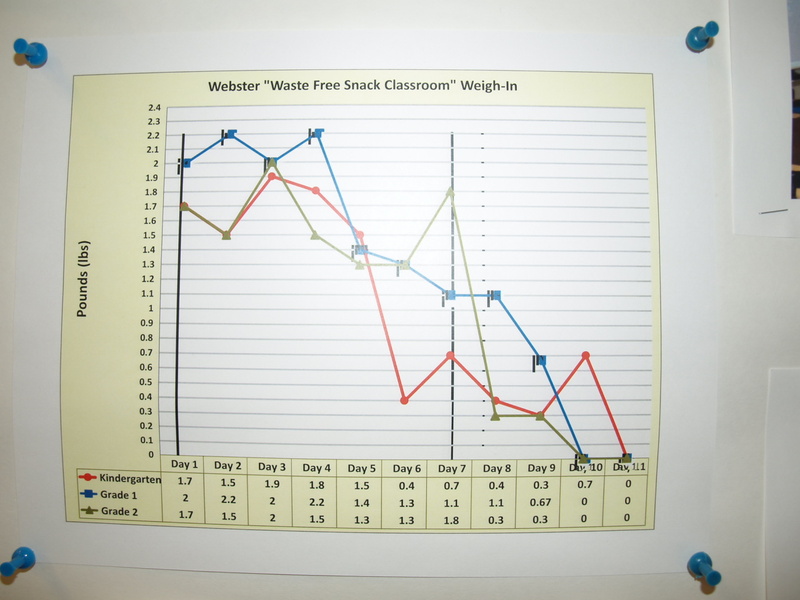 We weighed snack waste every day, teachers tallied the daily amounts and incorporated the lessons into Math, English, Social Studies and Science. Remarkably, within a day we already saw drastic reductions of close to 50% in single use packaging and it went steadily down from there on. After 10 days of daily weigh ins and education the program culminated in the award ceremony, where each child “won” a reusable water bottle and a reusable snack bag imprinted with the schools name. The students were very proud. 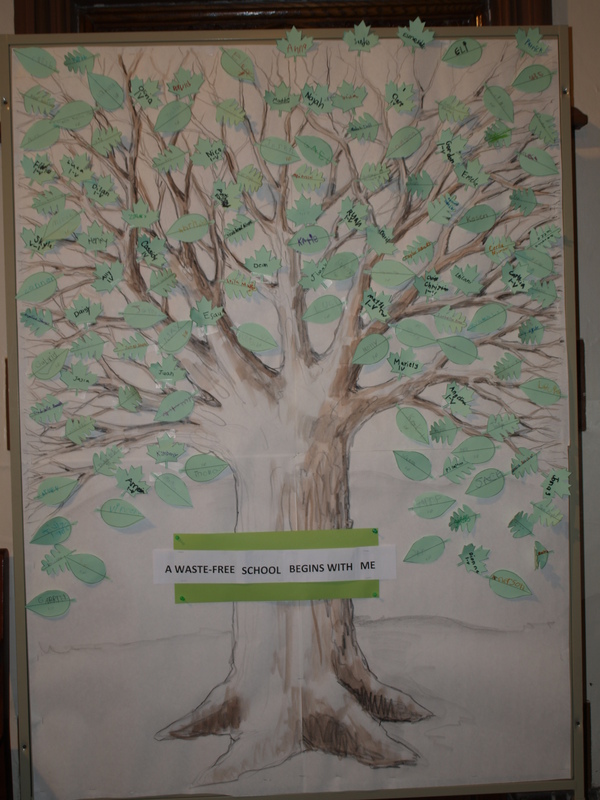 The students also pledged to go Waste Free and wrote their name on a leaf to paste it onto the beautiful tree, created by the amazing art teacher. From that day on, we had a close to 100% return rate of the reusable lunch bag and we started sending any uneaten food, and any packaging back home with the students. Now, all the lower grades are completely waste free at snack time, and that knowledge has spilled over into the lunchroom as well. “The first day we sent the uneaten food back home, we were holding our head down, awaiting the storm of phone calls from parents, but amazingly, there was not a single one”, remembers Greg Middleton, Assistant Principal. The students at Daniel Webster Elementary School have learned a valuable life lesson. Waste-free starts with me! After 4 years of operation under founder Anna Giordano, the “School Lunch Recycling” organization had become so much more. The program now included composting in its school lunch offering, and the Waste Free Classroom program had taken off. As well, Anna was joined by partner Ashley Welde, who brought communications and technical expertise to the mix. With a much broader vision and ambitions goals, the organization demanded a new name and identity. Anna and Ashley met with designing and branding visionaries Christina Collins and Brett Collins from Counterspace to come up with a new name and logo. 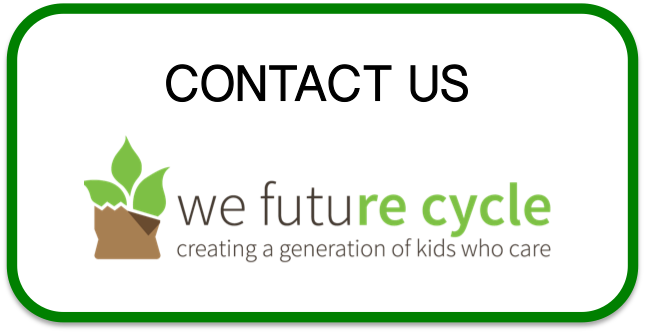 Within minutes, the name “We Future Cycle” was born, and the logo shortly followed. We are so grateful to Christina, Brett, and the whole Counterspace team for donating their time and wisdom to We Future Cycle. Thank you! Greenburgh Nature Center is hosting a meeting with Emily Fano of NYC Green Schools to learn about how NYC schools are making headway with recycling and composting programs. Emily will also share information about the NWF Eco-Schools USA Program. The meeting will be at the Greenburgh Nature Center on Sunday, June 1 at 11am. About Emily Fano: Emily is the NYC Outreach Manager for Eco-Schools USA. She is a published author and has over 20 years of professional advocacy, media, and policy experience in the non-profit sector. She is a passionate environmentalist devoted to the goal of zero waste schools and was a core team member of the 2012 District 3 Composting Pilot – a model program in eight New York City schools that reduced the volume of cafeteria garbage by 85% and became the model for a citywide expansion (see http://www.GreenSchoolsNY.com). Emily has a Master’s degree in Urban and Environmental Policy from Tufts University, and is a trained presenter with Al Gore’s Climate Reality Leadership Corps. 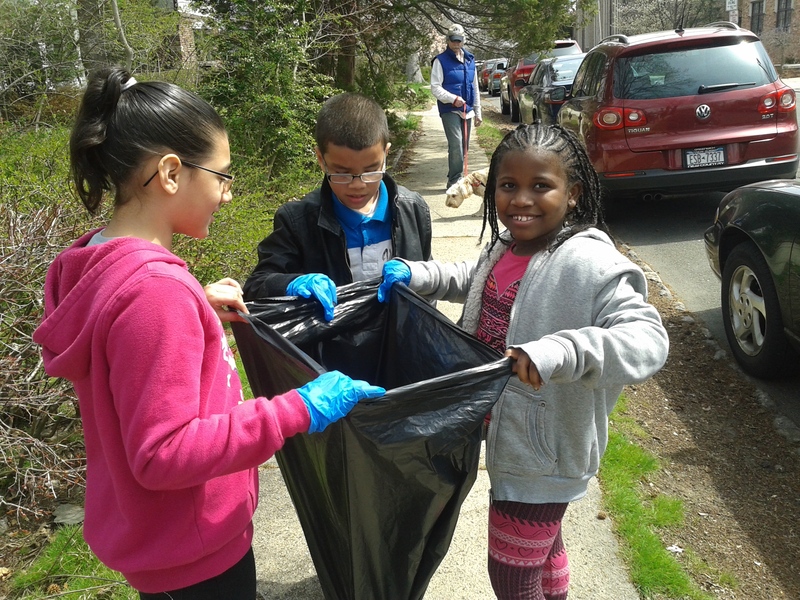 New Rochelle’s Trinity Elementary school was featured in the local news for their effort to recycle. This school has implemented the We Future Cycle source separation program 3 years ago and is now soon changing over to also including composting into the system. Watch the video here. 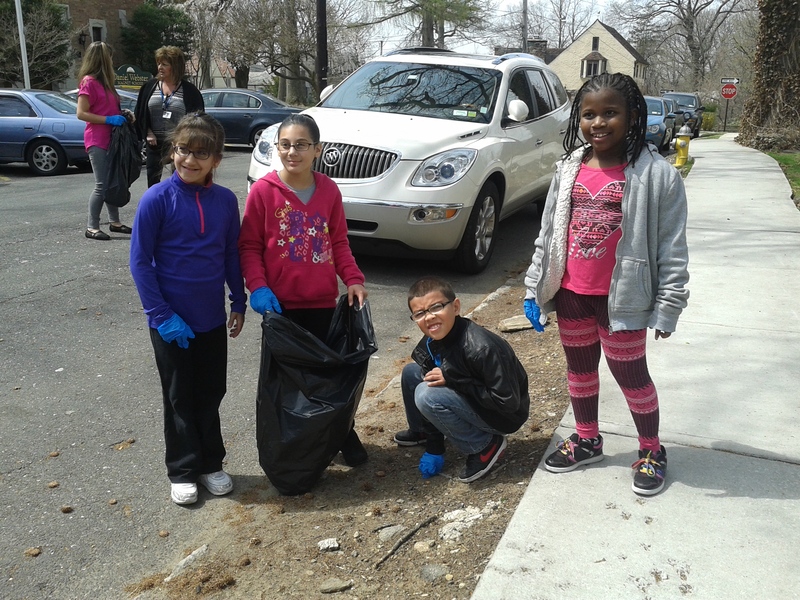 Meet Ms Weintraub’s class from the Daniel Webster Elementary School in New Rochelle. In honor of Earthday they cleaned up around the school, and they did it with gusto. Prickle bushes were no deterrent for these motivated Earth Rangers. 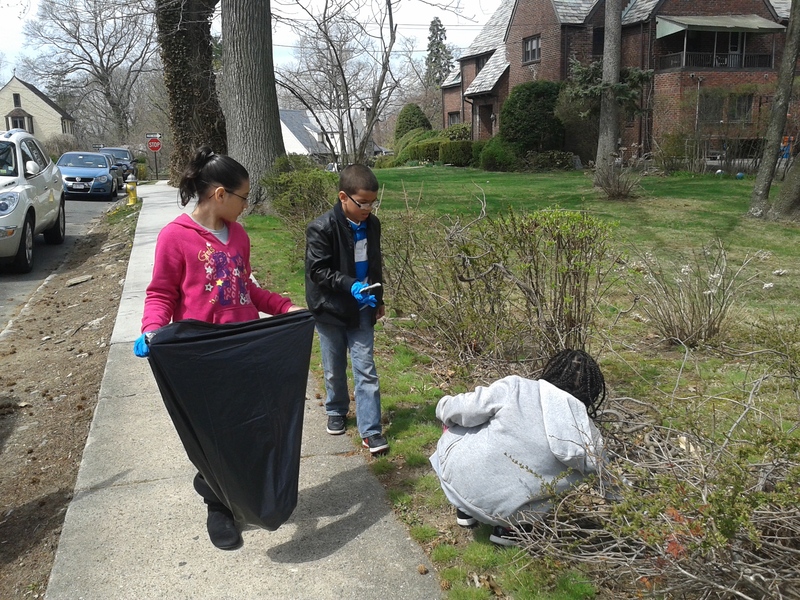 They have been learning in school about the environment and they are determined to do their part. The Food waste in the US is staggering, actually beyond imagination. Check out this super interesting blog.